Weekly collection of trash, picked up at the front of your garage. This service is available using our toter cart or one of your own cans (Curbside Garage Service). 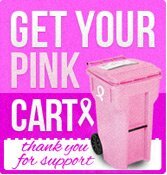 We will collect the toter cart or one of your cans from the front of your garage. Any extra items will be collected from the curbside.